We know Plymouth county has 365 ponds, one for each calendar day, yet few properties on those ponds offer as much as 82 Lake Road does at this price. This property was built for the discerning and nature lover family both. You can find your way to this home by way of historic Old Sandwich Road, the oldest road in Plymouth and yes, while it is not paved and some might say they prefer asphalted roads instead, we just happen to love knowing it has not been disturbed and most important how little traffic goes through it. The perfect setting for what is at the end of it if you ask us, the perfect spot for your safe haven. As you enter the long tree-lined driveway you will find 2 horse barns on each side of the driveway, mature landscaping surrounding the property and you'll even start seeing the beautiful blue waters of Savery pond at the end of it along with the views of one of the most architecturally built Post and Beam Homes in the area. The words "There's no place like home" come to mind before you even get to see the stunning interior of this home. New England is known for it’s beautiful seasons and this home is sure deliver the best experience for each. Spend your winter watching the beautiful snowfall over the pond while stay warm by the floor to ceiling stone fireplace. With a private beachfront, soak up the warmth of the summer sun while swimming, canoeing or making a splash off of the private dock on non-recreational Savery Pond. A true nature lovers dream, grab a fishing pole and enjoy a lazy afternoon paddling out into the water and listen to all of the wonderful sounds of nature. Enjoy the warm summer breeze and watch as the sun sets cascading the most beautiful light over the water. As the weather cools and fall is welcomed, spend time by the fire pit adjacent to the wrap-around porch. The first thing you will see as you enter this gorgeous Post and Beam home are the stunning pond views through the floor to ceiling Anderson casement windows. Accompanying the living area is a breathtaking floor to ceiling stone fireplace. This beautiful space is admired for it’s versatility. 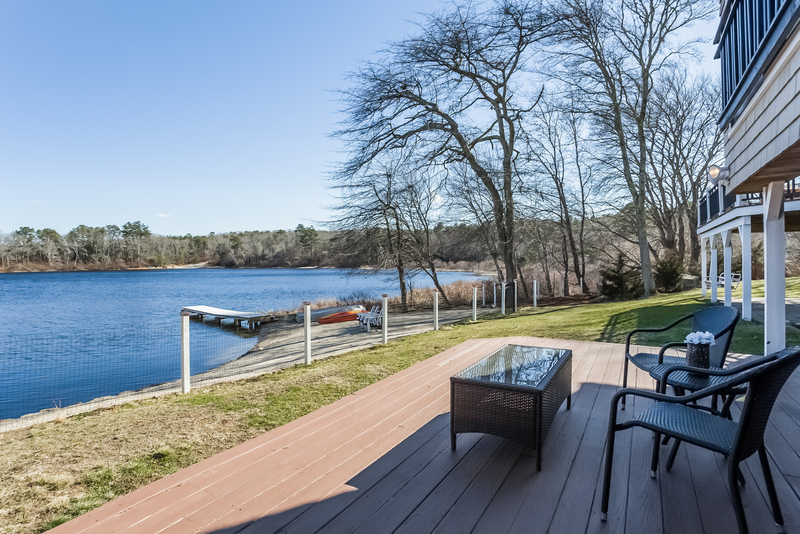 Curl up and keep warm by a fire, or open the triple Anderson glass sliders that open to the large 28'x12' deck with iron railings that allow the best possible views and enjoy the summer breeze after the sun has set over the private pond front beach. Featuring radiant heat flooring and top-of-the-line appliances including; Bosch stainless steel appliances and a Bertazzoni Italian Commercial Grade Stove. 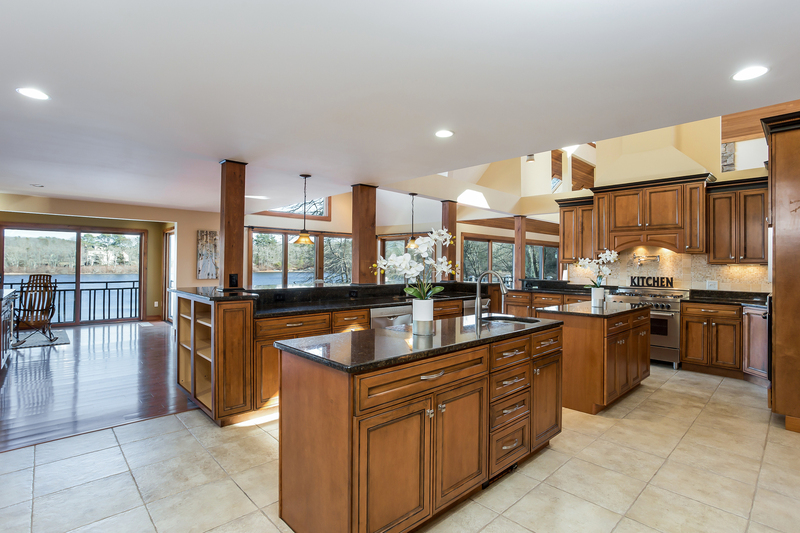 There is no shortage of space to enjoy this gorgeous, open kitchen. 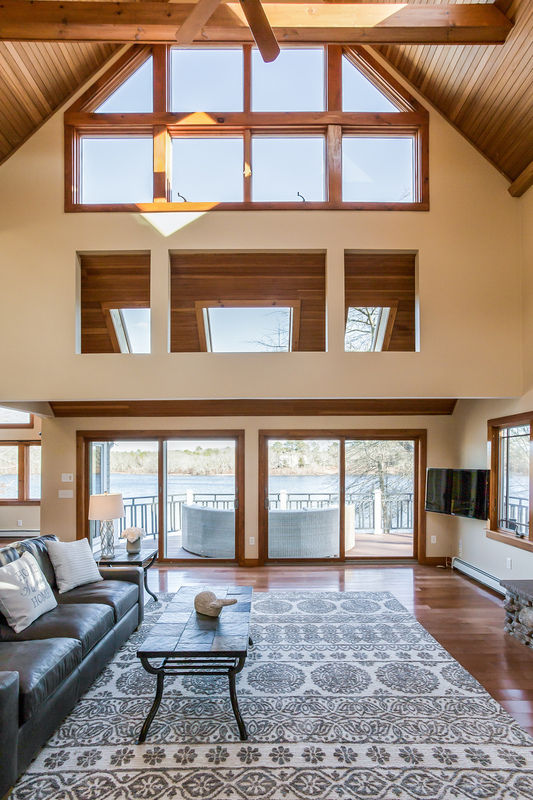 The lower level boasts an incredible Master Suite with wood plank ceramic tile flooring and double glass sliders overlooking the private pond front beach. Walk outside in the mornings with a coffee in hand and enjoy the tranquil nature setting just beyond the threshold of the door. 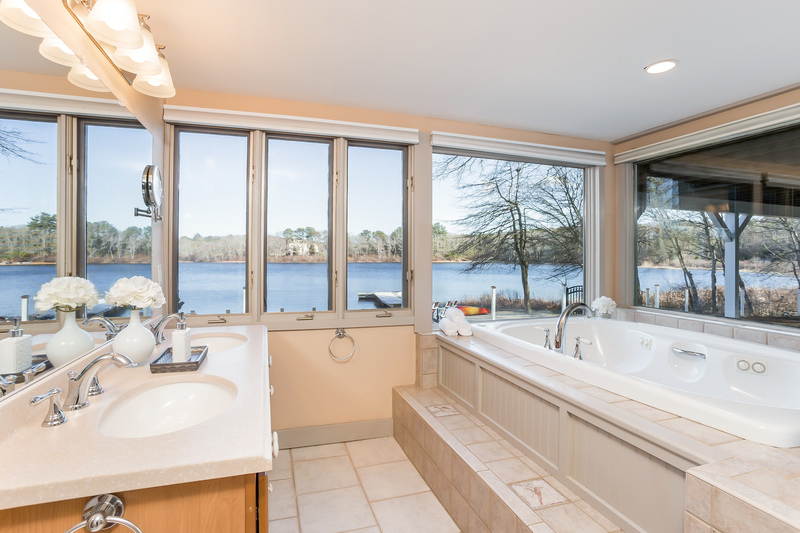 The Master Bath features wall-to-wall windows to enjoy the scenic view while indulging in the relaxing jacuzzi tub. A beautiful tile shower with dual shower heads is available when time is of the essence! 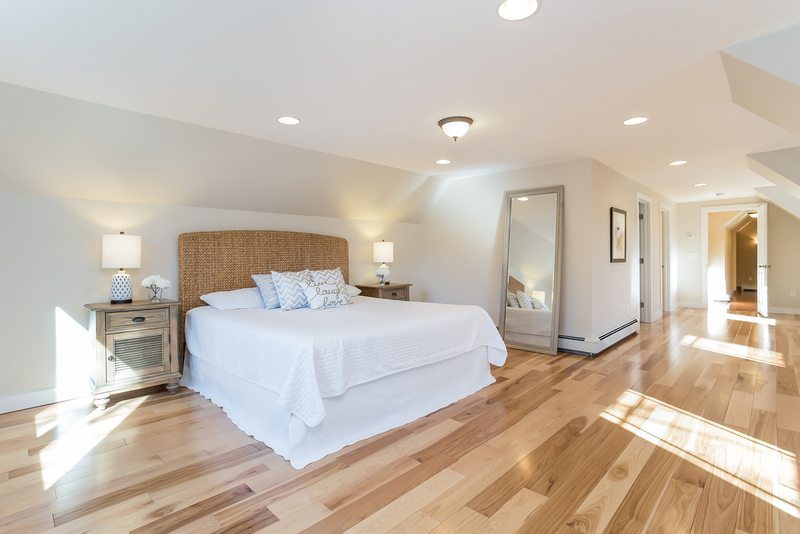 A newly added second floor Master Suite is the perfect hideaway tucked down the private hallway featuring Hickory hardwood floors and endless amounts of natural sunlight, built in 2016. Enjoy a beautiful, spacious fully-tiled master bath complete with glass walk-in shower with built-in seat, a dual vanity by Max Furniture with marble top; radiant floor heat and Symmons fixtures. Additionally, this Master Suite boasts a large walk-in closet and upper level laundry with access directly from the suite. We fell in love with 82 Lake Road the first time we viewed the property. Tucked away off a historical country road and set on beautiful Savery Pond, the serenity and privacy of the location are unmatched. The house itself is truly work of art with its master carpentry and vaulted ceilings, unlike any home we had seen before. We love its many windows which provide a bright and airy feel, and the large kitchen and open living area are great for entertaining. The surrounding area offers a sanctuary for nature enthusiasts with private beach access to the pond for kayaking, canoeing, swimming and fishing, and miles of biking/hiking trails adjacent to the property. Access to the ocean and additional walking trails are just a mile down the road at Ellisville State Park, an area we frequently visited with our dog.  While living here, we’ve enjoyed the many species of beautiful and rare animals inhabiting the area, and those passing through on their migratory pathways. Now that our daughters are finishing up college and moving on with their own lives, we no longer need all the space this house affords. We’d like to pass along this hidden gem to another family who will enjoy living here as we did!